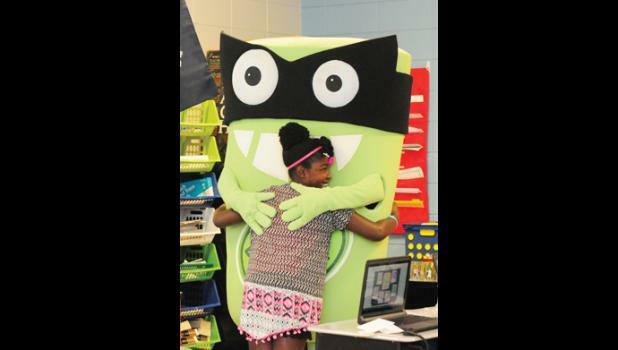 A classroom of exceptional third graders at Abner Creek Academy has the distinction of completing the most math lessons in the nation using an adaptive software program called Dreambox Learning. Even more importantly, every student now is working above grade level. 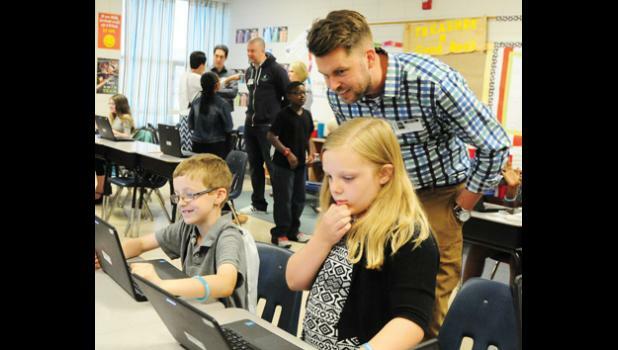 Last Thursday individuals with Dreambox Learning’s Raleigh, North Carolina office visited teacher Ann Salway’s class to celebrate the achievements of her students. 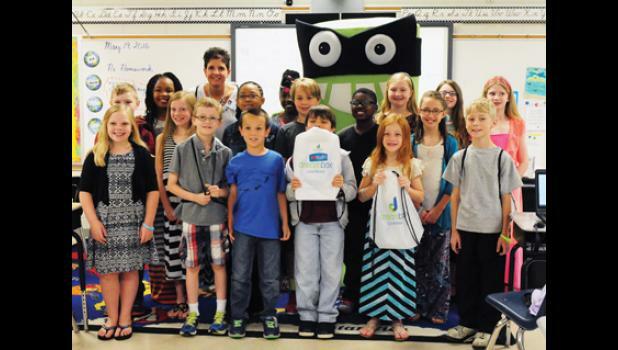 Dreambox brought with them gift bags for the students, five iPads for the school and a mascot named Gub (also affectionately known as Jumper by the students). 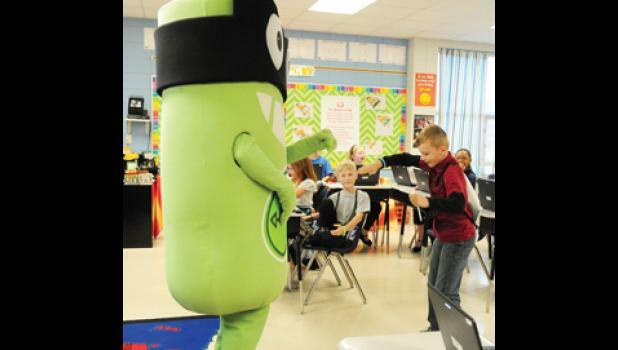 Students were thrilled to meet the mascot and explain why they like the program, and how it assists them with their math scores. “It’s very awesome because I don’t really like math that much but it turns out that I’m really good at it, and I’m a champion,” student Christina Brewington said. The students were indeed determined. Nineteen students completed 8,832 lessons in the month of March. When Salway found out there was a competition she used her own determination to make sure her class finished first. “To be honest I didn’t really appreciate the value of this, and I had used other programs and then when I saw there was a competition I was like, ‘We’re doing this competition.’ Since then I’ve now realized the value of it and now we’re using it daily,” Salway said. The value is clearly seen in the fact that Salway has three students working on eighth-grade concepts and 10 of them on a seventh-grade level. All students are above third and fourth grade in their work. This is the second year Abner Creek has had access to the software. 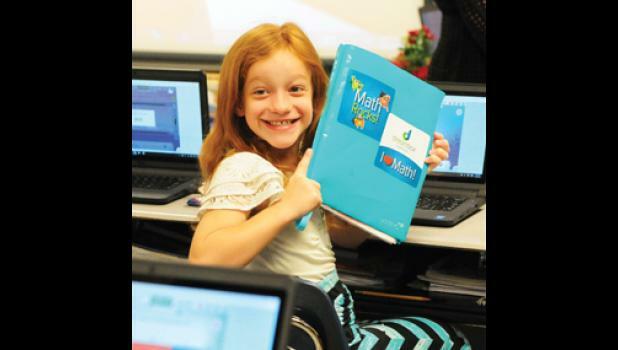 Dreambox personnel said their software is unique in how it uses technology for learning. In a way, the software allows students to have a kind of teaching aide with each student, monitoring their progress. Then teachers can see where students are excelling and where they might need more assistance. Lessons are created to be engaging and game-like, and the students seem to appreciate the format. 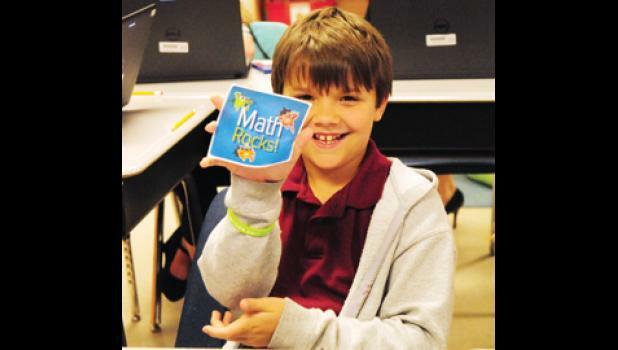 “It’s really fun, and it kind of encourages me to do math,” student Lucian Driggers said. Naturally some students learn in more accelerated fashion than others. Salway said some students, like Jax Soule, who has attained the highest level in the class thus far, will take the time to help other students who might be struggling a little. Collectively, students have improved 300 percent from when they started the lessons, said Salway. She referenced the MAP testing that students take and said last year 15 out of 17 didn’t meet their projected growth. This year 18 surpassed where they were supposed to be, and the one student who did not still stayed in the 99th percentile with a very good MAP score.